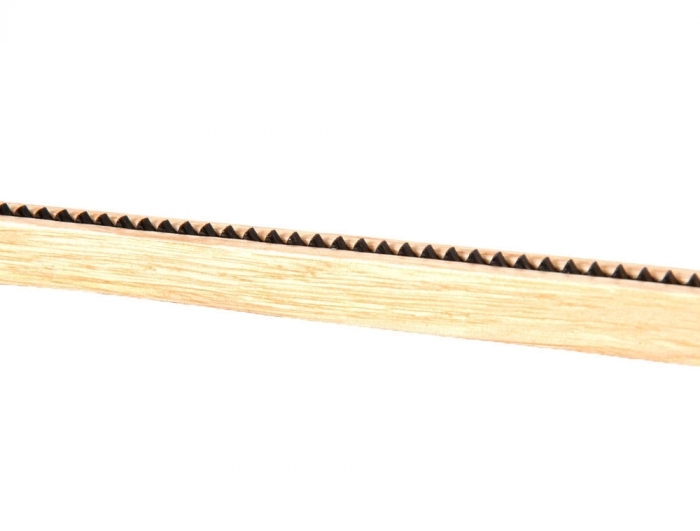 Standard Wooden Wishbone Hanger with non slip centre bar. In a natural wood finish. Includes a chrome hook. 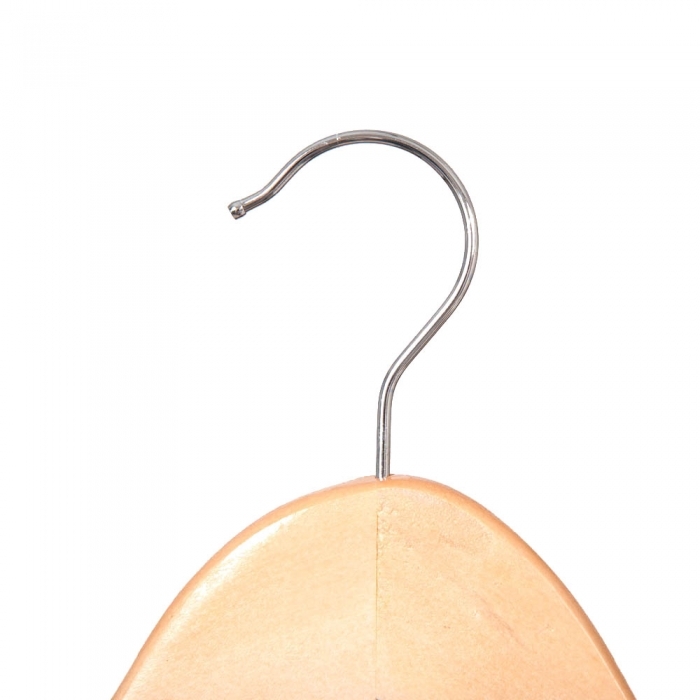 This hanger is 43cm (430mm) wide. Sold as a box of 100 hangers. 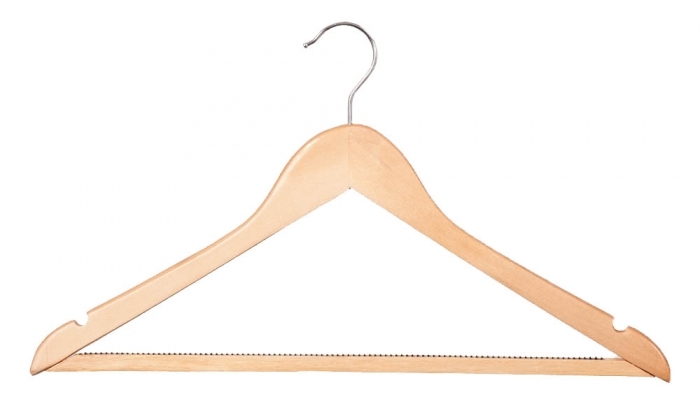 Perfect for the retail environment and sold to retailers throughout the UK and equally suited to the home the wooden wishbone hanger is ideal if you require a hanger for garments such as T-Shirts & Trousers because it also has the flexibility of a non slip centre bar. This will prevent a pair of trousers from slipping off the hanger. This hanger also comes with notches to hang skirts. 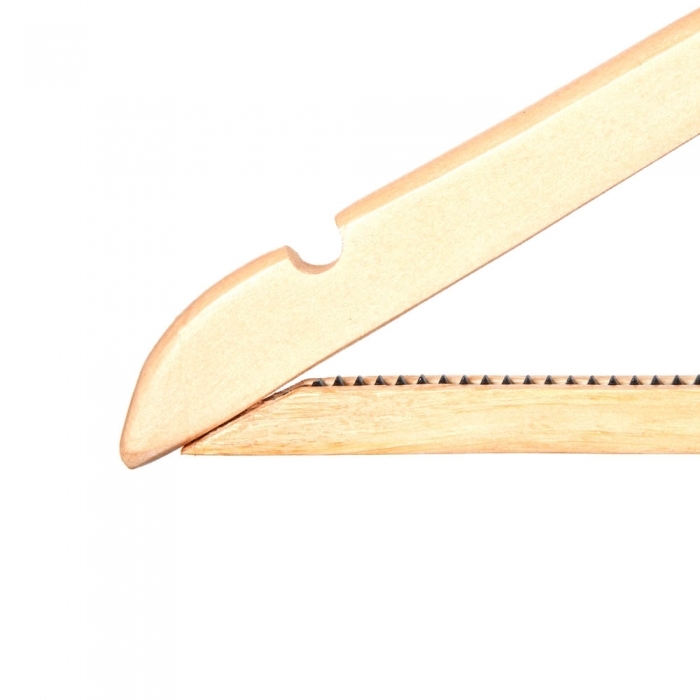 Standard Wooden Wishbone Hanger with non slip centre bar. In a natural wood finish. Includes a chrome hook. This hanger is 43cm (430mm) wide. Sold as a box of 100 hangers. 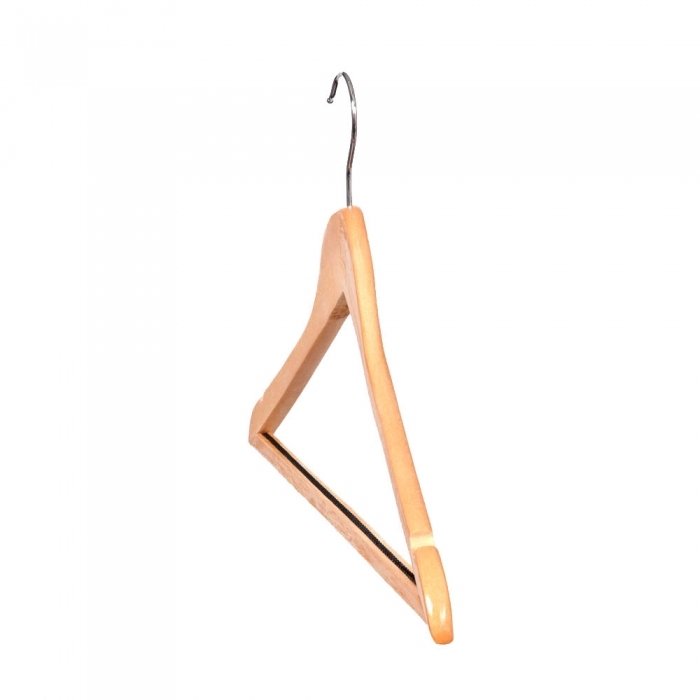 Perfect for the retail environment and sold to retailers throughout the UK and equally suited to the home the wooden wishbone hanger is ideal if you require a hanger for garments such as T-Shirts & Trousers because it also has the flexibility of a non slip centre bar. This will prevent a pair of trousers from slipping off the hanger. This hanger also comes with notches to hang skirts.